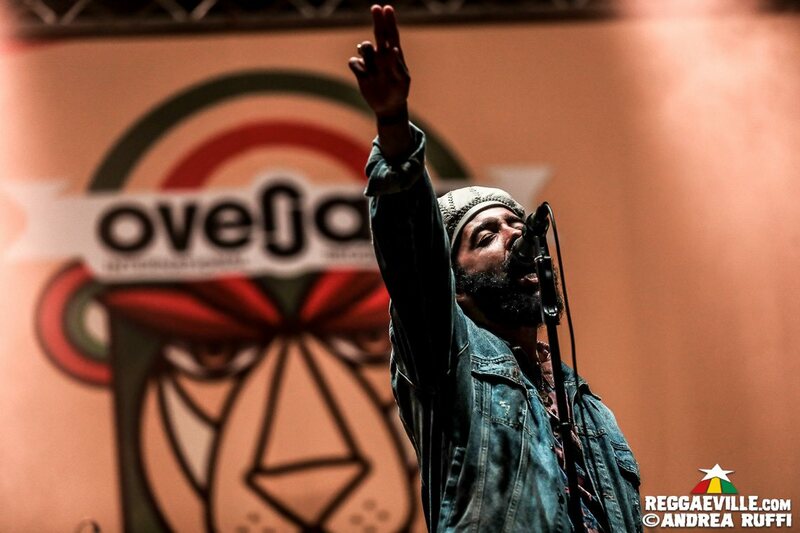 The 2010 relocation of Rototom Sunsplash from Osoppo to Spain created a vacancy for a verdant, mountain reggae festival in the North East Italian region. A year later, a group of promoters had the bright idea of staging an event over the border in Slovenia, on the former Riversplash site. And so Overjam was born. Attending its seventh edition – moved from August to warmer July - it was easy to see why this was such a good concept. Untroubled by occasional light rain, a free spirited reggae-dancehall-savvy crowd gathered in elevated woodland seclusion for a mix of Jamaican, British and Central European music. Days were spent at “the beach” where dancehall and yoga workshops, university talks and general relaxation took place at the convergence of two turquoise rivers. 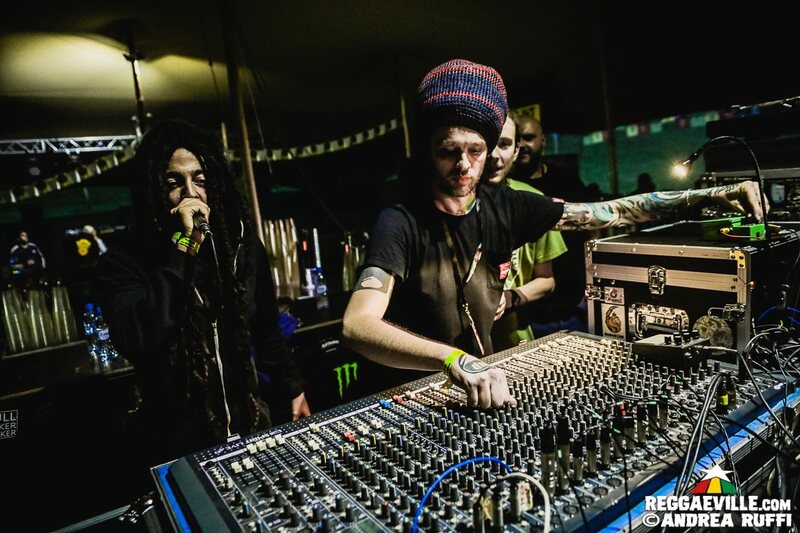 Each evening offered a Main Stage hosted by Swiss vinyl wizard Asher Selector and a relocated twofold dub/dancehall sound system area. Oddly the Main Stage featured no pre-recorded music between bands - the result of zealous but principled restrictions by the Slovenian performing rights society. CLICK HERE TO VIEW THE FULL PHOTO REPORT! 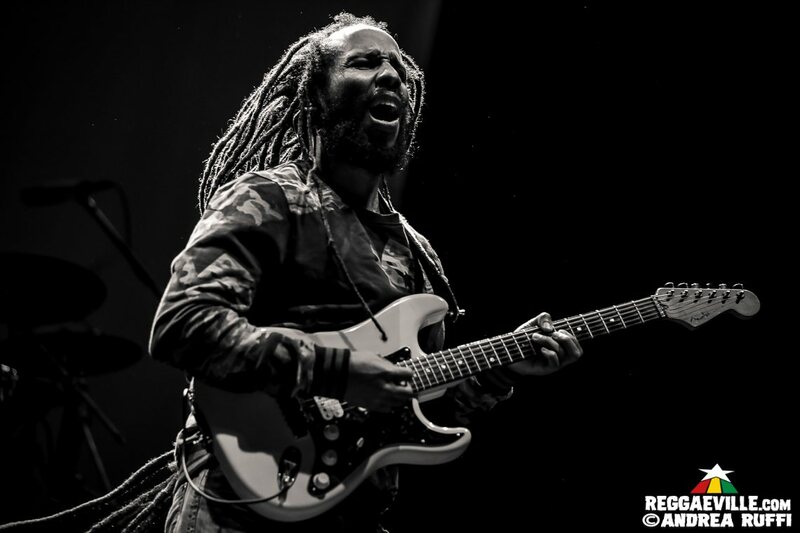 On the Thursday, headliner Ziggy Marley played a typically assured set to a select gathering of early campers. Some rainfall meant a portion returned to their tents, sadly missing Jamerican group New Kingston’s closing slot. On the sunnier Friday, Overjammers began arriving in large numbers. Slovenia’s own Siti Hlapci led them in singing with their local hit Plamen and invited on visiting Jamaican Israel Voice (due to play the Saturday with his cousin Italee). The formidable vibrato of Italian reggae diva Awa Falls was showcased against the rocky, Morgan Heritage influenced backdrop of Sound Rebels band. Britain’s Macka B gave a particularly politically charged rendition from his vast catalogue of vegan, Rasta and conscious messages. Pordenone’s Mellow Mood transfixed the audience with their twin harmonies and engineer Paolo Baldini’s extraordinary soundscapes. Meanwhile, the dub area shook to UK legends Coxsone sound, and the dancehall exploded in raucous joyous abandon to Udine’s Northern Lights. 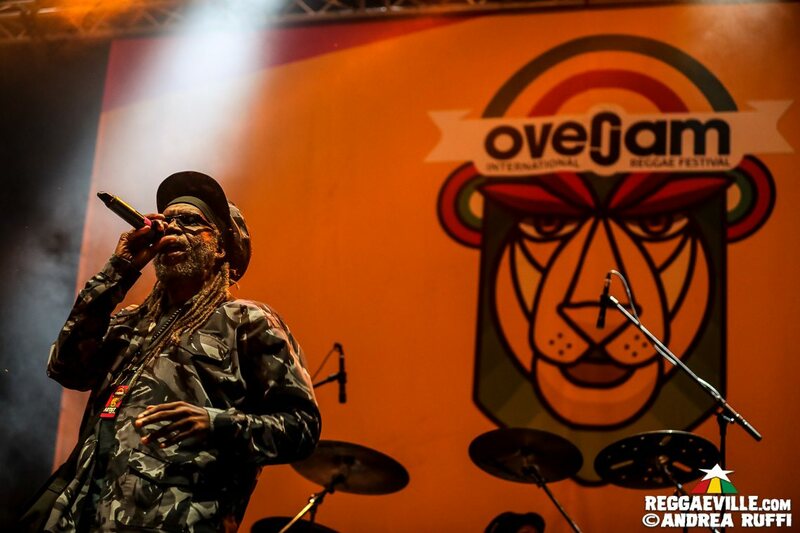 The Saturday witnessed the diversity of Central European reggae. The melange of African, Euro and Jamaican influences that was Shanti Powa contrasted with the eccentrically named, surprisingly traditional roots of Croatian outfit Brain Holidays. The aforementioned Israel Voice opened for his indescribably flamboyant relation Italee Watson. Much of what she and Siti Hlapci band did seemed improvised and impromptu; yet she held attention with her charisma – channelling equal parts Nadine Sutherland, Nina Simone and Miriam Makeba. At the Dub tent, French mavericks OBF, fronted by Spain’s Sr Wilson and the UK’s Charlie P, got the kids moving to visceral bass. Finally, Protoje closed the Main Stage with a successful showcase of songs from new album Matter Of Time. 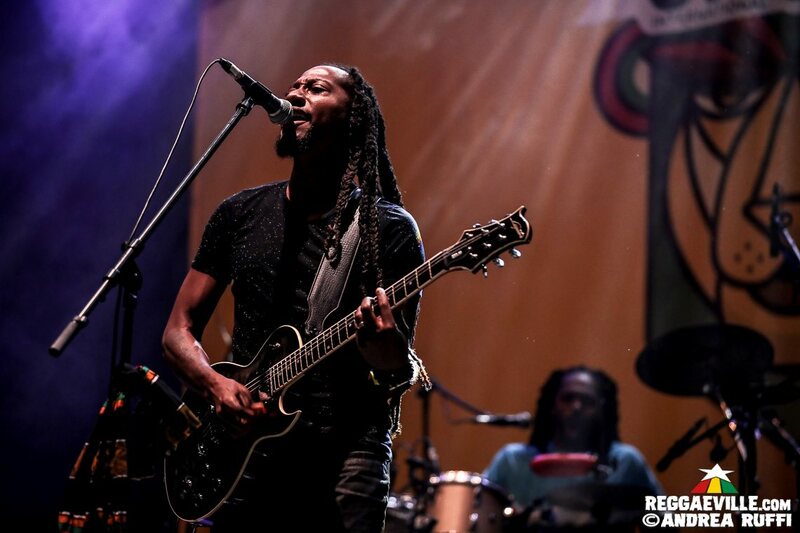 One of the challenges faced by reggae musicians with a message is breaking down the language barriers of a dancing euphoric audience. 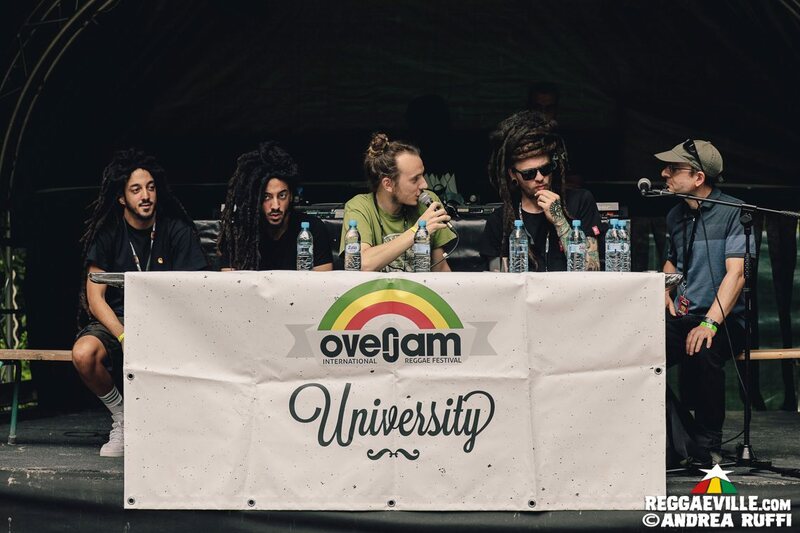 The Overjam University, a series of talks hosted by author David Katz, allowed revellers to hear artists explain their lyrics and motivations, interspersed with sound clips highlighting their careers. In the idyllic situation of the riverbank, Mellow Mood and Paolo Baldini traced their journeys through the Italian reggae scene to international success. The always opinionated Macka B had some choice words for Donald Trump (who was visiting his UK home that weekend). Italee explained her various musical reinventions and to close, Mr Katz, who impressed his guests with his depth of research, played vintage vinyl classics, including an extended run of Burning Spear. It’s easy for UK or German readers, who’ve seen Macka B perform multiple times, to take him and his real talk Rasta topics for granted. But the veteran deejay is popular worldwide for a reason: he’s on a mission to touch young hearts and minds unused to his opinions. Friday’s set with his Roots Ragga band (sadly without horns) included perennial favourites Wha Me Eat and Everybody Loves Bob Marley but also more confrontational cuts like Racists Back Off and We’ve Had Enough. One couldn’t help feeling they were aimed straight at Trump’s head. As America and Britain work to close their borders, Overjam’s Italian-Slovenian cooperation reminds us how helpful freedom of movement can be. On his third tour date since releasing forward-thinking album A Matter Of Time, Protoje’s assignment was simple: introduce and test the new material. After some lengthy noodling and Vocodering (in the silence created by said no recorded music restriction) the super slick Indiggnation band struck up the Godfather 2 theme and the man-of-the-hour-and-fifteen jogged on to a huge roar. Protoje’s move away from his earlier 80s retro stylings was in full effect. The set was dominated by his production partnership with Winta James – saving only the biggest hits from his days with cousin Don Corleon. The new songs slotted in neatly around those of predecessor Ancient Future. “Do you like that?” He asked after a particularly well received Like This - letting everyone sing the chorus a capella to be sure. There were no surprise guests, but No Guarantee and Flames featured pre-recorded vocals by Chronixx (possibly violating the Main Stage rule!). The contrast between old and new Protoje was apparent in a trio of relationship tunes. The Corleon helmed Rasta Love (“my big song when I last played in Slovenia in 2011 and 2013”) sounded more commercial and less complex than savvy recent single Bout Noon and Ancient Future’s Vocoded kiss off, Stylin’. “This is the last night of festival. I’ll show you I have more energy and you show me you have energy” said Protoje, during a thumping dubwise breakdown. With the Matter Of Time mission accomplished, the final four tracks - Hail Rastafari, Who Knows, JA and permanent closer Kingston Be Wise - were familiar fare Overjam knew well. In traditional Protoje fashion, there was no encore, despite Asher Selector trying to coax him out to the cheering crowd. CLICK HERE TO VIEW THE FULL PHOTO REPORT BY ANDREA RUFFI!